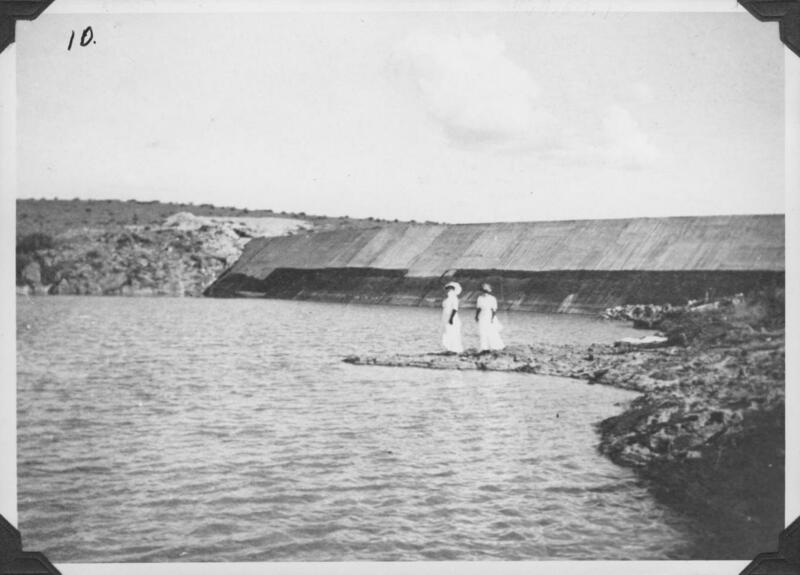 Historic dams, mill races and associated structures across Texas were essential for the development of early water-powered industries, agricultural irrigation, and flood control. While many continue to serve their original function, they are also important today as evidence of historic engineering practices and pioneer ingenuity and as scenic attributes along many Texas waterways. According to the National Inventory of Dams, there are approximately 7,400 dams in Texas, but this is considered an incomplete inventory and only includes dams that equal or exceed 50-acre feet storage and exceed 6 feet in height. Most of them are of an age that would make them potentially eligible for the National Register of Historic Places (50+ years old). As dams age and as community relationships to Texas waterways change, the removal and replacement of historic dams is becoming an emerging preservation challenge. For example, the U.S. Fish and Wildlife Service (USFWS) began the National Fish Passage Program (NFPP) in 1999 to remove barriers for fish habitat and recreational purposes. Since then, thousands of dams across the country have been demolished. In 2011, this program began in Texas with the establishment of the Texas Barrier Inventory Project to identify dams or “barriers” that should be removed. The first dam removed under this program was the 110-year old Ottine Dam on the San Marcos River in January of 2016. In 2016, USFWS began planning a NFPP project to demolish the historic Thompson-Cape Dam and Ditch Engineering Structure, commonly known as Cape’s Dam, located in the San Marcos River just east of I-35 in San Marcos. Built in 1867, it was determined eligible for the National Register by the National Park Service (NPS) in 1985 for its historical and engineering significance. The site later received three Texas Historical Commission (THC) markers. 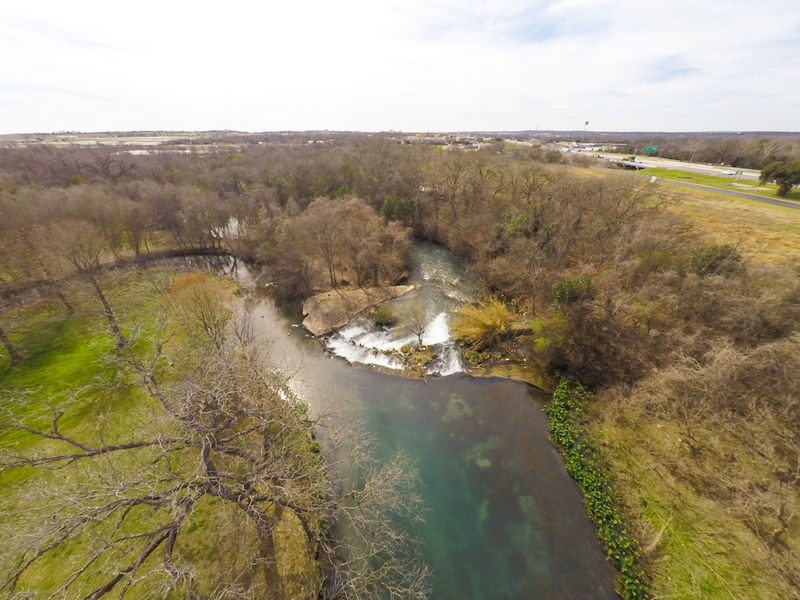 Today, the Thompson’s Mill site part is owned by the State of Texas, while Cape’s Dam and Mill Race were conveyed to the City of San Marcos in 2014. Cape’s Dam is but one feature of this milling complex that includes a beautiful mill race and the remains of the old mill. Demolition of the dam will result in the de-watering of the mill race and the eventual erosion and destruction of this associated feature. Citizens of San Marcos, Save the San Marcos Texas River, and the Hays County Historical Commission are fighting to preserve this historic place, and Preservation Texas is a formal consulting party under Section 106 of the National Historic Preservation Act. Aerial view (February 2017) looking down the San Marcos River toward Cape’s Dam (right) and the associated mill race (left) in Hays County. Courtesy Save the San Marcos Texas River. The NFPP is also looking to remove the San Esteban Dam (1911) in Presidio County to restore the flow of water in Alamito Creek. However, according to USFWS, “the biggest obstacle to the removal of the dam is the presence of an old ranch house, built in the 1800s, approximately 1.5 miles downstream from the dam.” The project has been put on hold, as removal of the dam may endanger the historic house during flood events. This is an example of how the removal of a historic dam may have wider, unintended impacts on historic resources downstream. Women at San Esteban Dam, Presidio County (no date). Marfa Public Library via The Portal to Texas History. Texas needs to find a balance so that we can protect the most important historic dams while ensuring that the safety of Texans is not compromised and that our natural environment can thrive. We need to develop a set of clear and consistent standards to evaluate historic dams so that we can ensure that the most significant dams can be protected. A model for this can be found in Maryland, where the NPS worked with the American Rivers Foundation to develop criteria for evaluation, recommendations for mitigation, and successful case studies published as Dam Removal and Historic Preservation: Reconciling Dual Objectives. The extent to which the dam possesses historical integrity – meaning the degree to which the original design, workmanship and material of the dam remains. In Texas, there are excellent preservation case studies. Earlier this year (2017) we presented Preservation Texas Honor Awards for the restoration of the Old Stone Dam at the Allen Water Station (1874) to the City of Allen and the Medina River Dam at the Landmark Inn State Historic Site in Castroville (c. 1850s) to the THC. 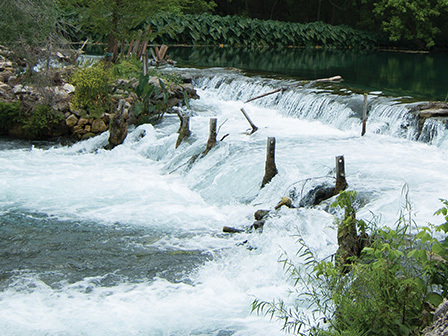 The current threat to Cape’s Dam and Mill Race in the San Marcos River provides a starting point for a constructive dialogue between preservationists and conservationists about the future relationship between our historic dams and our vital and dynamic waterways. Together we can set standards and shared expectations that can achieve compatible goals to maintain and improve the quality of historic and natural environments in Texas.